through high-quality early care and education. 85% of the brain core structure develops before age five. 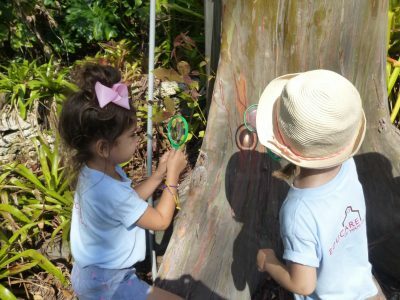 This provides a unique opportunity to strengthen children’s development with high-quality learning experiences that will provide them with a foundation for later success. An early care and education workforce that is appropriately skilled, trained and compensated is a major contributor to achieving the best possible child and family outcomes. The Center models evidence-based practices through its Demonstration School, Educare of Miami-Dade. 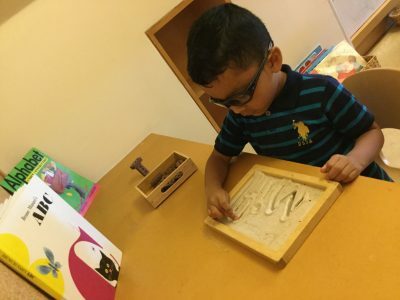 It shares those practices with adult learners including families, educators and early care and education providers, and works with business leaders and lawmakers to raise the standards of early care and education and support sustainable and lasting change. The early years of a child’s life are a critical time for brain development. A child’s early experiences can have a positive impact on their current development as well as brain connections that will last a lifetime. 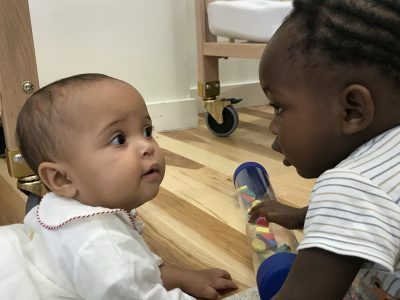 The evidence is convincingly clear, we know that high-quality early learning programs, which include well-qualifed teachers, research-based curriculum and assessments and family engagement are essential to nurturing young bodies and minds. EARLY CARE AND EDUCATION PROFESSIONALS have benefitted from professional learning opportunities. EARLY CARE AND EDUCATION ADMINISTRATORS AND PROFESSIONALS have graduated from the Early Childhood Program Administrator’s Institute (ECPAI) which helped improve the quality of 470 programs in our community. children with quality early interventions and experiences that increased their chances for success in school and in life. total hours of professional learning to 34,133 early care and education professionals. early care and education programs with quality enhancement services.